Based on the 2011 graphic novel by A.J. Lieberman and Nick Thornborrow, "Term Life" stars Vince Vaughn as a criminal father who is trying to dodge the various people who want him dead in order to make sure his life insurance will pay out for his daughter (Haliee Steinfeld). 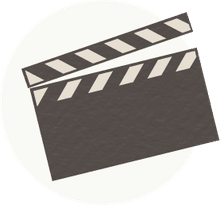 The film is directed by Peter Billingsley (you know him best as Ralphie from "A Christmas Story") and features actor/director Jon Favreau in a supporting role. What you probably don't know is that Vaughn, Billingsley, and Favreau are friends and frequent collaborators. Vaughn and Billingsley are production partners in Wild West Films, which releases many of their collaborations (including "Term Life"). 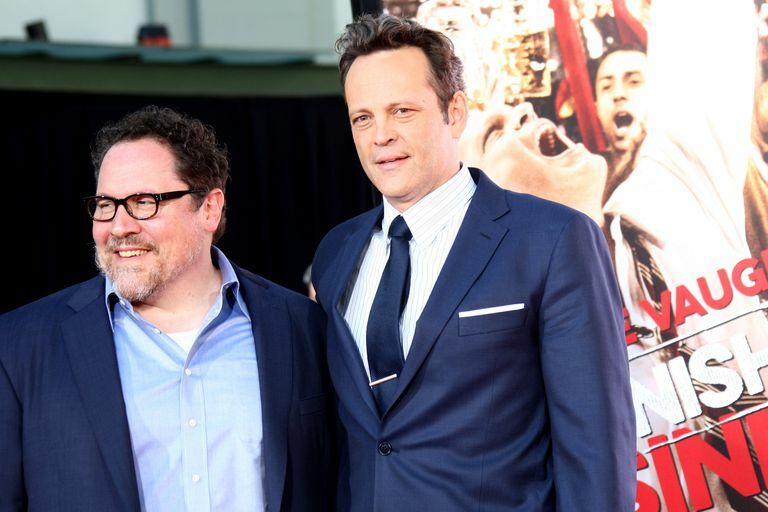 How Did Peter Billingsley, Jon Favreau, and Vince Vaughn Meet? Vaughn met Billingsley when they co-starred in the 1990 CBS Schoolbreak Special TV movie "The Fourth Man," a movie about a high school student who abuses steroids. A few years later, Favreau and Vaughn first met on the set of "Rudy," the popular 1993 biopic about a Notre Dame football underdog. Favreau had a supporting role in the movie as Rudy's close friend, while Vaughn had a minor speaking role as one of Rudy's teammates. The three actors/filmmakers have been working together ever since, collaborating on small projects, huge Hollywood blockbusters, and even Favreau’s popular film talk show "Dinner for Five," which Billingsley co-produced. Crime thriller "Term Life" was released in 2016. Before "Term Life," the trio made many memorable collaborations together. After striking a friendship on the set of "Rudy," Favreau and Vaughn starred in this low-budget comedy about out-of-work actors navigating through Hollywood and acting as wingmen for one another in their love lives. In addition to starring in the film, Favreau wrote the script. The movie was widely acclaimed and launched Vaughn's career as a big-name actor. "Swingers" is still regarded by many as one of the classic comedies of the 1990s. "Made" is something of a "spiritual sequel" to "Swingers." This time, Favreau wrote, directed, and produced the film in addition to starring alongside Vince Vaughn. Along with Vaughn, Peter Billingsley also produced the film with Favreau. In this mafia comedy, Favreau plays Bobby, a down-on-his-luck boxer and construction worker who agrees to serve as muscle for a mob boss to earn some quick cash. He brings along his unreliable friend Ricky (Vaughn), who causes him nothing but headaches. Though not as successful as "Swingers," "Made" is a solid directorial debut for Favreau. The Will Ferrell Christmas comedy "Elf" has become a holiday classic. It’s no surprise that Favreau, who directed the film, cast Billingsley in the uncredited role of the elf foreman Ming Ming. After all, Billingsley himself is the star of a classic Christmas movie, and perhaps his appearance lent a little extra holiday magic to the film. Maybe that’s one reason why "Elf" became such a critical and commercial hit. "The Break-Up," a romantic comedy about a couple going through a disastrous break-up starring Vaughn and Jennifer Aniston, was a huge hit in the summer of 2006. In a casting decision that shouldn't surprise anyone at this point, Favreau played Vaughn's best friend. Vaughn co-wrote the story for the film and produced the movie with Billingsley, who also appears in a small role in the film. The huge success of "Iron Man" proved that "Elf" was no fluke for Favreau as a director of box office hits. It’s fair to credit Favreau for laying the groundwork for Disney’s multi-billion dollar Marvel Cinematic Universe franchise. In addition to directing Robert Downey, Jr. as Tony Stark in this superhero blockbuster, Favreau also portrayed Stark's chauffeur/bodyguard, Happy Hogan, while also serving as an executive producer. Also serving as an executive producer was Billingsley, who has a cameo as a scientist in the movie. Though not as a big of hit critically or commercially as "Elf," "Four Christmases" brought Vaughn, Favreau, and Billingsley back together again for another successful comedy. Vaughn co-stars with Reese Witherspoon as a couple who are forced to visit both sets of their divorced parents' families for the holidays, despite their desire to avoid them all. Favreau plays Vaughn's brother, and Billingsley appears in a small role as an airline ticket agent (he also served as executive producer). After working as a producer on many of Favreau and Vaughn’s projects, Billingsley finally made his feature directorial debut with the comedy "Couples Retreat." Of course, he brought along Vaughn and Favreau to not only star in the movie but to co-write the screenplay. This movie is about stressed-out couples who go to a resort for therapy, only to discover it's not what they expected. Like "The Break-Up," "Couples Retreat" was a box office success.